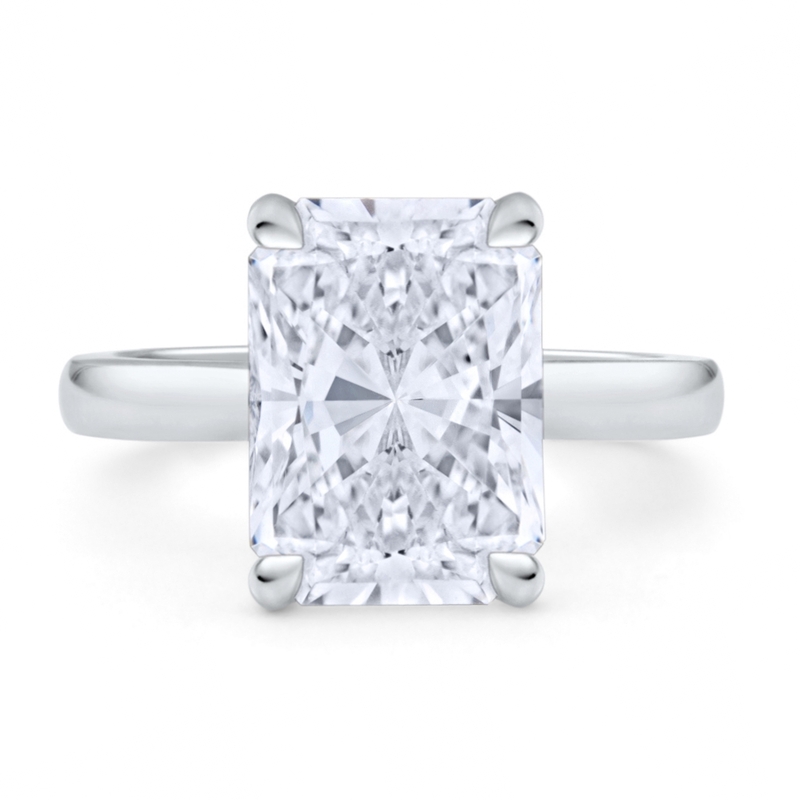 Radiant cut diamond engagement ring handcrafted in platinum. 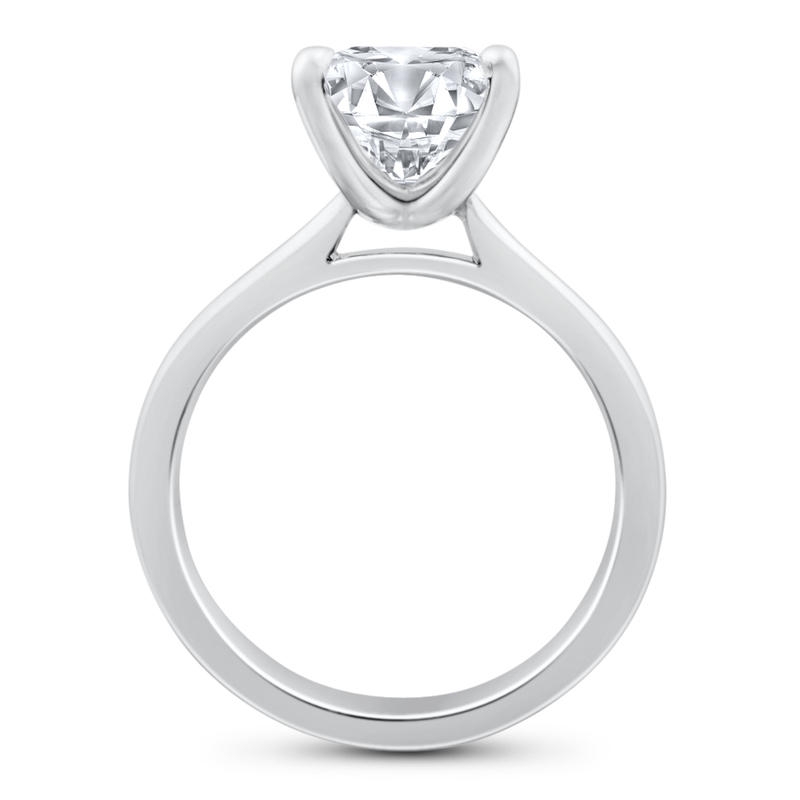 This design features a cathedral style shank with a petite semi-rounded band and bold tiger claw prongs holding the center diamond in place. 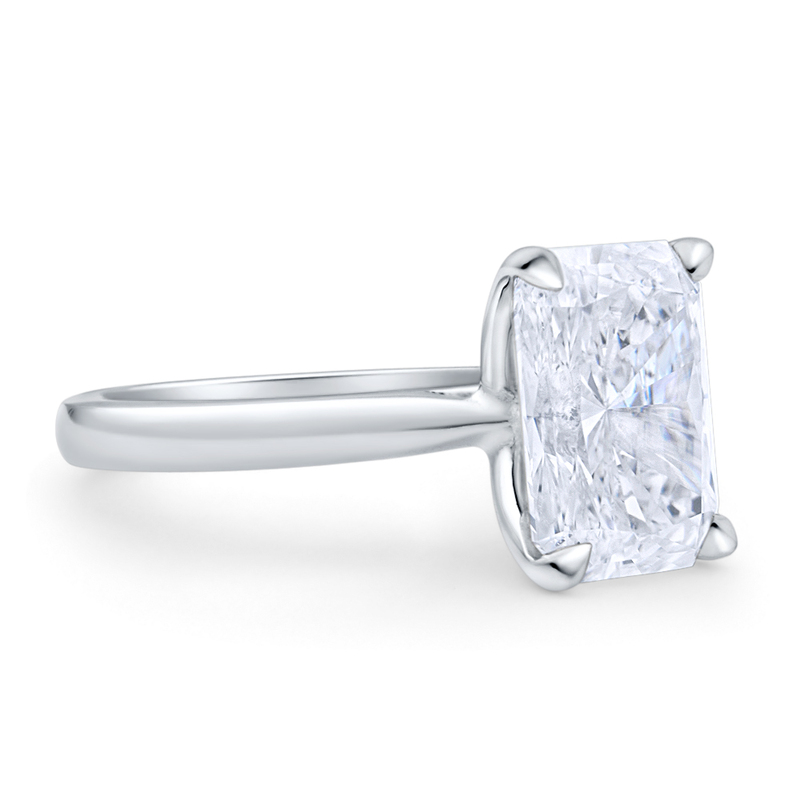 The basket on this ring is connected on two ends, giving the under gallery a larger opening and an opportunity to view the center diamond at almost any vantage point.